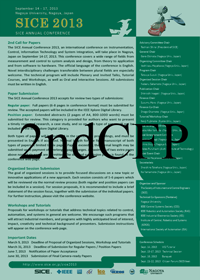 Abstract: There has been remarkable progress in sampled-data control theory in the last two decades. The main achievement here is that there exists a digital (discrete-time) control law that takes the intersample behavior into account and makes the overall analog (continuous-time) performance optimal, in the sense of H-infinity norm. This naturally suggests its application to digital signal processing where the same hybrid nature of analog and digital is always prevalent. A crucial observation here is that the perfect band-limiting hypothesis, widely accepted in signal processing, is often inadequate for many practical situations. In practice, the original analog signals (sounds, images, etc.) are neither fully band-limited nor even close to be band-limited in the current processing standards. The present talk describes how sampled-data control theory can be applied to reconstruct the lost high-frequency components beyond the so-called Nyquist frequency, and how this new method can surpass the existing signal processing paradigm. We will also review some concrete examples for sound processing, recovery of high frequency components for MP3/AAC compressed audio signals, and super resolution for image (still/moving) processing. We will also review some crucial steps in leading this technology to the commercial success of 40 million sound processing chips. 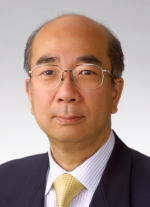 Short Biography: Yutaka Yamamoto received his B. S. and M. S. degrees in engineering from Kyoto University, Kyoto, Japan in 1972 and 1974, respectively, and the M. S. and Ph. D. degree in mathematics from the University of Florida, in 1976 and 1978, respectively. From 1978 to 1987 he was with Department of Applied Mathematics and Physics, Kyoto University. 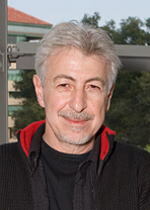 In 1987 he joined the Department of Applied Systems Science as an Associate Professor, and became a professor in 1997. 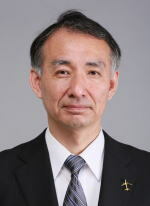 He is currently a professor at the Department of Applied Analysis and Complex Dynamical Systems, Graduate School of Informatics of Kyoto University. His research and teaching interests are in realization and robust control of distributed parameter systems, learning control systems, and sampled-data systems, its application to digital signal processing, with emphasis on sound and image processing. Dr. Yamamoto received Sawaragi memorial paper award in 1985, outstanding paper award of SICE in 1987 and in 1997, the best author award of SICE in 1990 and in 2000, the George S. Axelby Outstanding Paper Award in 1996, and the Commendation for Science and Technology by the Minister of Education, Culture, Sports, Science and Technology Prizes for Science of Technology in 2007. He received the IEEE Control Systems Society Distinguished Member Award in 2009, and the Transition to Practice Award of the Control Systems Society in 2012, as well as the ISCIE Best Industrial Paper Award in 2009. He is a Fellow of the IEEE and SICE. He is currently President of the IEEE Control Systems Society. He has served as vice President for Technical Activities of the CSS for 2005-2006, and as vice President for Publication Activities for 2007-2008. He was an associate editor of the IEEE Transactions on Automatic Control, Automatica, Systems and Control Letters, and is currently an associate editor of and Mathematics of Control, Signals and Systems. He has served as a Senior Editor for the IEEE Transactions on Automatic Control for 2010-2011. He also served as an organizing committee member of 35th CDC in 1996, MTNS '91 in Kobe, and as a member of program committees of several CDC's. He was the chair of the Steering Committee of MTNS, served as General Chair of MTNS 2006. He was a past President of ISCIE of Japan. Abstract: Numerous researches have been done on wide-area closed-loop controlling of power system. However, only a few wide-area closed-loop control systems are applied to real power systems, and implements of the control systems are still big challenges. This paper proposed an application of wide-area power system stabilizers (WPSS) in Guizhou Power Grid (GPD) in southwest China. The structure of WPSS is introduced with newly designed Networked Control Unit (NCU) and implement of downlink communication method. Also, key techniques to realize the WPSS are introduced. Control strategy of the proposed WPSS is designed using series of conclusions drawn by the author’s researches in earlier years, which are introduced in this paper. As a main factor of networked communication affecting the control performance, closed-loop delay may worsen controlling and even lead to instability. This paper analyzed the hierarchical structure of the wide area closed-loop control system, and proposed a prediction based hierarchical compensation method at the data processing level to deal with the delay. For the control strategy on the top-level, all feedback and control information are real-time and transparent without consideration of delay. To justify the proposed WPSS system, RTDS hardware in the loop test is carried out with the simulation of GPD including 104 Buses and 39 generators in it. The test results demonstrate that, the proposed WPSS can reduce the delay impact on the control performance effectively. The propose WPSS is being installed in GPD, and it will put into operation in the near future. Short Biography: Dr. Sun was born in 1954 in Hunan Province, China. He received the B.Sc., M.Sc. and Ph. D degrees in electrical engineering from Wuhan University, Electrical Power Research Institute and Tsinghua University of China in 1978, 1982 and 1988 respectively, and then joined Tsinghua University. 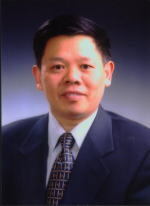 Now he is currently a chair professor of electrical engineering, associate director of State Key Laboratory of Power System Control and Dynamic Simulation and professor of School of Electrical Engineering, Wuhan University. His research experience and interests include: stability analysis and control of power systems, simulation technique, operational reliability evaluation, renewable energy and distribution system, power quality control etc. He received the Awards of Outstanding Young Scientists and Outstanding Abroad Young Scientists in 1998 and 1999 respectively. He got Cheung Kong Scholars of Ministry of Education of China in 2000. Sun has received the First Award of Chinese National Awards of Teaching Achievement in 2005, the First Award of Natural Science of Ministry of Education in 2004. Dr. Sun has authored or co-authored over 100 research publications and also two books published by Kluwer Academic Publishers and Science Academic Publishers of China. Dr. Sun is a senior member of IEEE and CSEE (Chinese Society of Electrical Engineering). He is currently serving as an associate director of Department of Electricity & Applied Mathematics, CSEE. Abstract: Mitsubishi Regional Jet (MRJ) is a Japanese-made airliner after an interval of 50 years from YS-11. Mitsubishi Aircraft Corporation (MITAC) launched the MRJ project in order to restart the Japanese-made airliner business again. MRJ family consists of MRJ70, MRJ90, and MRJ100X (future plan). MRJ70 and MRJ90, which have typically 78 seats and 92 seats, have already launched officially. MRJ family has high commonality, which can contribute to the advantages of the flexibility for airline operation and the economic efficiency. MITAC estimates large Regional Jet (from 61 seats to 100 seats) has over 5,000 aircraft demand during next 20 years. We target this big market with a newly developed regional jet with the advanced technologies. MRJ will provide unprecedented value to "Environment", "Passengers", and "Airline customers" by applying advanced technologies usually used in large transport airplanes. Composite material, next generation geared-turbo fan engine, new "slim" seat, flight deck with four large LCD (Liquid Crystal Displays), are key technologies which can contribute to the higher market value of MRJ. Full FBW (Fly-By-Wire) technology is also applied to improve the safety and handling quality in pilot operation. MITAC, which is a subsidiary of Mitsubishi Heavy Industries Ltd., applies the FBW technology which had been obtained in domestic military aircraft development. This presentation introduces MRJ project overview, key technologies, and the status of FBW system development. Latest status and testing activities are also explained. 1985: Graduated from master of aeronautical engineering of Kyoto University, entered Mitsubishi Heavy Industries, Ltd. and engaged in aeroelasticity and vibration analysis of airplane and helicopter. After development of MH2000, he took a new position in Mitsubishi Aircraft Corporation in 2008 and is currently taking a role of deputy head of the current engineering division. Abstract: Robotics is rapidly expanding into the human environment and vigorously engaged in its new emerging challenges. From a largely dominant industrial focus, robotics has undergone, by the turn of the new millennium, a major transformation in scope and dimensions. This expansion has been brought about by the maturity of the field and the advances in its related technologies to address the pressing needs for human-centered robotic applications. Interacting, exploring, and working with humans, the new generation of robots will increasingly touch people and their lives, in homes, workplaces, and communities, providing support in services, health care, entertainment, education, and assistance. The discussion focuses on new design concepts, novel sensing modalities, efficient planning and control strategies, modeling and understanding of human motion and skills, which are among the key requirements for safe, dependable, and competent robots. The exploration of the human-robot connection is proving extremely valuable in providing new avenues for the study of human motion -- with exciting prospects for novel clinical therapies, athletic training, character animation, and human performance improvement. Artificial Intelligence Laboratory, Department of Computer Science Stanford University Short Biography: Oussama Khatib received his Doctorate degree from Sup’Aero, Toulouse, France, in 1980. He is Professor of Computer Science at Stanford University. He is the President of the International Foundation of Robotics Research, IFRR. Professor Khatib is the Co-Editor of Springer Handbook of Robotics and the Springer Tracts in Advanced Robotics series. He is a Fellow of IEEE and has served as a Distinguished Lecturer, as the Program Chair of ICRA 2000, and the General Chair of IROS 2011. He is a recipient of the Japan Robot Association (JARA) Award in Research and Development, the IEEE RAS Pioneer Award in Robotics and Automation for his fundamental pioneering contributions in robotics research, visionary leadership, and life-long commitment to the field. He has also received the IEEE RAS Distinguished Service Award in recognition of his vision and leadership for the Robotics and Automation Society, in establishing and sustaining conferences in robotics and related areas, publishing influential monographs and handbooks and training and mentoring the next generation of leaders in robotics education and research.